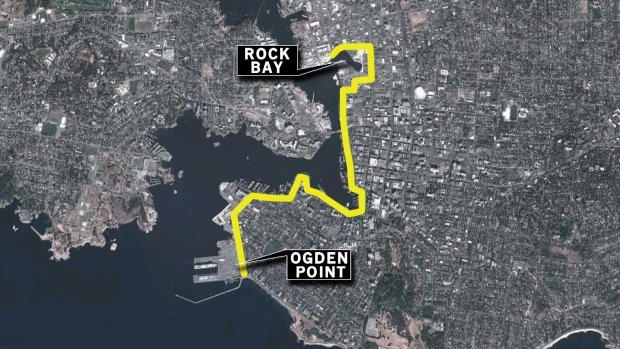 Picture this: A continuous, uninterrupted walkway stretching from Ogden Point to Rock Bay. It would line Victoria's Inner Harbour, twisting and turning around Fisherman’s Wharf and Ship Point before going under the Johnson Street Bridge and past Canoe Club. The path would stretch for about six kilometres. Pedestrians and cyclists would share it. There would be benches to sit in on and pieces of art to look at as well as “special places” with unique Victoria themes. Think Victoria’s version of Vancouver’s Stanley Park Sea Wall. Victoria council pictured something similar to it in 2008. It voted and approved a plan for a harbour pathway that would be 5.8 kilometres long and could be enjoyed by residents and visitors. In 2012, it took its vision a step further giving it a name, The David Foster Harbour Pathway. The Victoria native and music legend even paid his future walkway a visit, telling media at Ship Point in May 2013 that he had seen sketches for the path and was fully supportive. More than a decade later, the path doesn’t exist. People can walk from Ogden Point to Rock Bay but staying along the water isn't always possible. The area around the Johnson Street is one example. At Reeson Park, pedestrians have to walk along Wharf Street to get past the Johnson Street Bridge. From Canoe Club to Barclay Point, a waterfront walkway simply doesn’t exist. So why, more than 11 years after the project was first approved, has it not come to fruition? A map of the proposed walkway stretching 5.8 kilometres from Ogden Point to Rock Bay. Between Fisherman’s Wharf and Rock Bay there are about 70 individual properties. About 60 per cent of these are owned by a combination of the City of Victoria, the Greater Victoria Harbour Authority, the province, and the federal government. The remaining 40 per cent of land is privately owned and much of it is currently home to active businesses. Securing use of each individual piece, primarily north of the Johnson Street Bridge, will be a major hurdle. 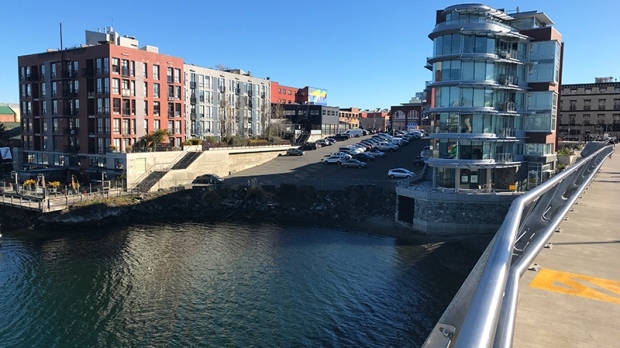 The city says it has access to 52 of the 70 properties with almost all of them currently located between Fisherman’s Wharf and the Johnson Street Bridge. The stretch between Ogden Point and Fisherman’s Wharf is much easier. The city says it can largely rely on existing roadways to make the path happen in that location. City staff have largely used two methods to acquire pathway land: redevelopment and direct acquisition. The Janion Building at 1610 Store St. and its soon-to-be neighbour, a condo to be built on the parking lot next door at 1628 Store St., are prime examples of securing land through redevelopment. During the development process, the city ensured developers granted the city access to the waterfront for the David Foster Pathway. Over the last couple of years, city real estate staff have been working with various public entities to secure pathway ownership, or rights to use the waterfront for a pathway. Just last year, Victoria acquired land from Transport Canada for four parcels of land between Raymur Point and Laurel Point, as well as in front of Mermaid Wharf. An example of where the city has secured land through re-development. The city secured access to the waterfront at 1628 Store St., the future site of a new condo development. Victoria Mayor Lisa Helps wasn’t at the table in 2008 when the original walkway plan was approved. 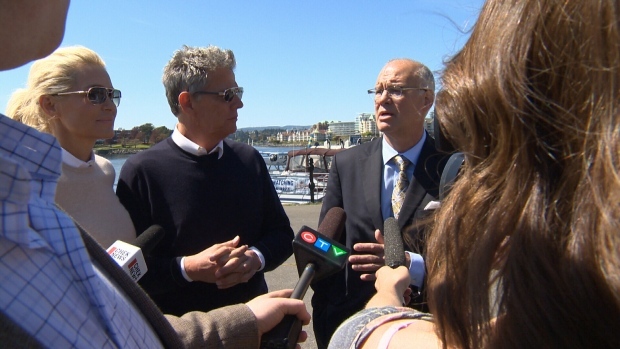 Since then, she says Victoria council has overhauled how it approves city projects. “The 2008 plan was merely lines drawn on a map with no funding strategy or implementation plan. 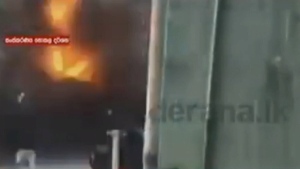 We no longer do business like this at the city," Helps told CTV News. According to city staff, the focus now is north of Johnson Street Bridge. Land for the pathway south of the bridge has largely been secured, or is in the process of being secured. The area around Capital Iron and Value Village is the city’s next focus. Major long-term development plans are currently in the works for the area between 1824 and 1924 Store St. The city hopes it can use redevelopment, like it has in the past, to secure use of the waterfront for its path. The biggest challenge will be the most northerly portion of the proposed path. The Rock Bay area and Barclay Point requires consultation with a number of stakeholders including First Nations, developers and business operators. While pedestrians can currently get close to the waterfront for most of the 5.8-kilometre path being proposed, once you walk north of Canoe Club, the only option is to walk along Government Street. Securing access to the water in an area that is largely industrial will likely be the final, and most difficult, piece of the puzzle. Sometime this year, the city expects to update its harbour pathway plan. City staff say the city’s vision, originally laid out in 2008, will likely be renewed as will its principles and goals for the walkway. Back in 2013, the city estimated the entire walkway could cost $40 million. The City of Victoria has more information on the status of the David Foster Harbour Pathway on its website.